If you get tired of Bergen's historic centre, there's plenty more to do within easy reach of the city. Bergen is a great city to base yourself in on a Norwegian vacation. Not only does the city itself offer a fascinating range of museums, galleries and historic sights, the access to the best of the Norwegian outdoors is hard to beat. 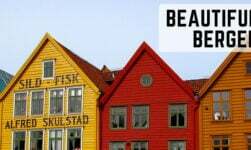 When you're done exploring the city streets, check out our recommended day trips from Bergen. Experience Bergen from the water, Rødne Fjord Cruise operates a 3-hour Osterfjord/Mostraumen cruise. While it lacks the dramatic cliffs of the Geirangerfjord or Nærøyfjord, the Osterfjord does get narrow around the waterfalls of Mostraumen and is a great way to see a natural fjord landscape if you are short on both time and money. 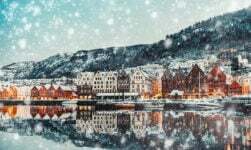 Tours leave year-round from the Zachariasbryggen pier at the heart of Bergen twice daily at 10am and 2pm, with an extra 6pm evening departure added on select days during July and August. Check in advance for winter departures as tours are weather dependent. 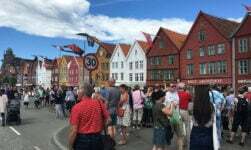 You can read this article about a previous cruise on the Osterfjord to get a feel for what to expect. Located 100km east of Bergen along the E16 highway or the Bergen Line railway, Voss has long been a destination for travelers looking for an outdoors vacation. 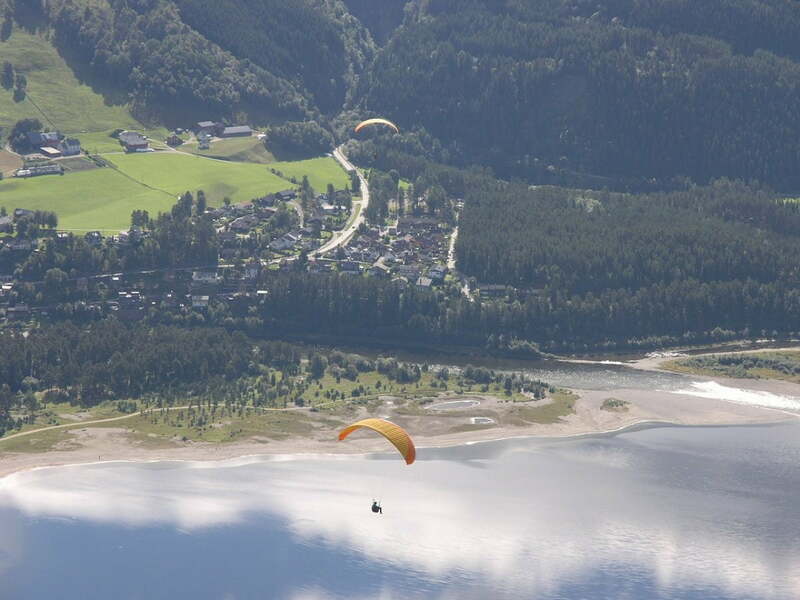 Today, Voss is known across Europe as a center for extreme sports. Norwegians flock to Voss because, not only is it the largest ski destination in western Norway, it’s also one of the most reliable areas for snow throughout Europe. In addition to the two major alpine resorts, cross-country ski touring and freeskiing is popular in the surrounding mountains. The best known resort is Myrkdalen, known for excellent off-piste skiing and floodlit cross-country trails. At the heart of the otherwise modern central area, the medieval stone Voss Church (Vangskyrkja) is worth a look. 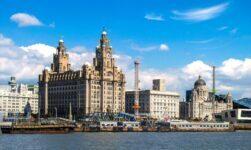 It's believed to have been built in the 13th century on the site of a former Germanic pagan temple. 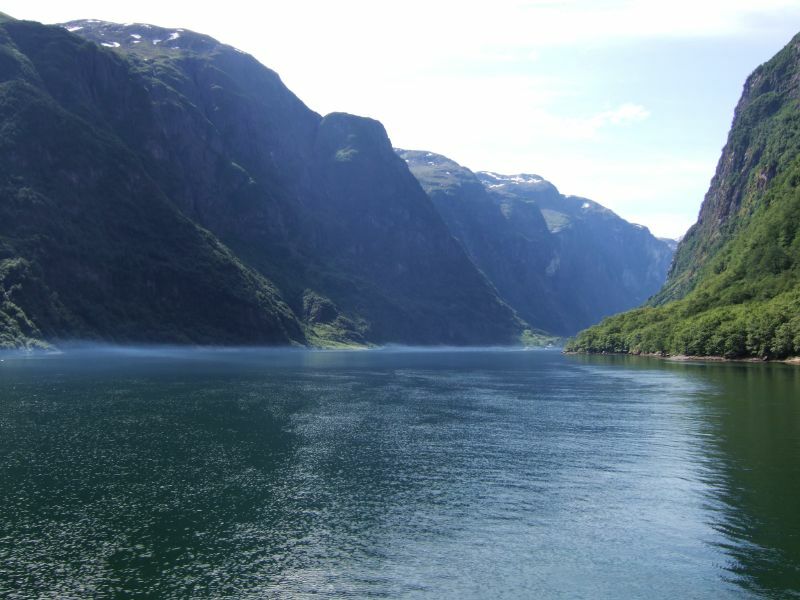 The Nærøyfjord is defined by its narrow sides. Thanks to its inclusion on the classic Norway in a Nutshell itinerary, the Nærøyfjord is one of Norway’s most well-known fjords. 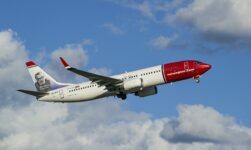 It’s easily accessible via the public ferry from Gudvangen to Flåm, which means a trip on the fjord can be combined with a memorable trip on the Flåm railway, and the Oslo to Bergen line. Kayaking along the Nærøyfjord is a popular recreational activity with equipment hire and guided tours available from the village of Flåm. The most relaxing of the inner Sognefjord's villages, the lush vegetation and colorful timber houses of Balestrand just beg to be explored at a leisurely pace. Marked hiking trails spread out into the surrounding hills, but an enjoyable walk is available within the village itself. 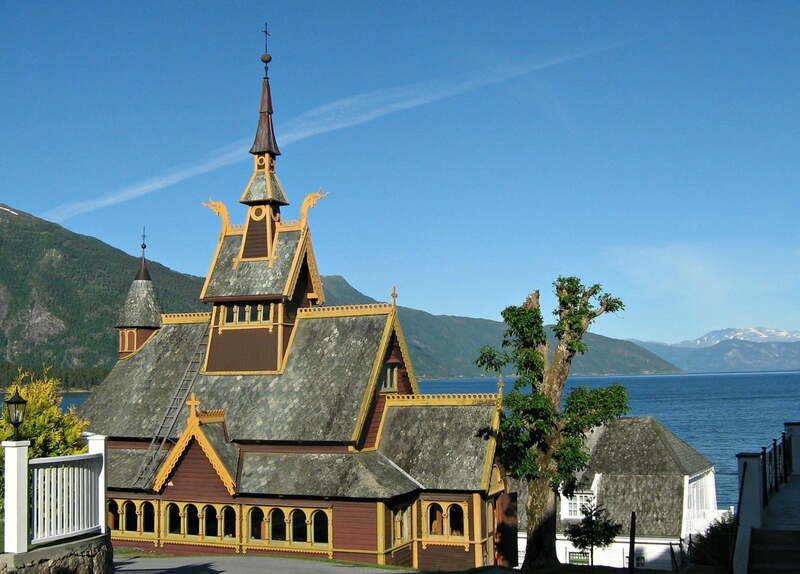 Pick up a free map at Balestrand Tourist Information to follow the Culture Trail, a two-mile self-guided walk around the village. 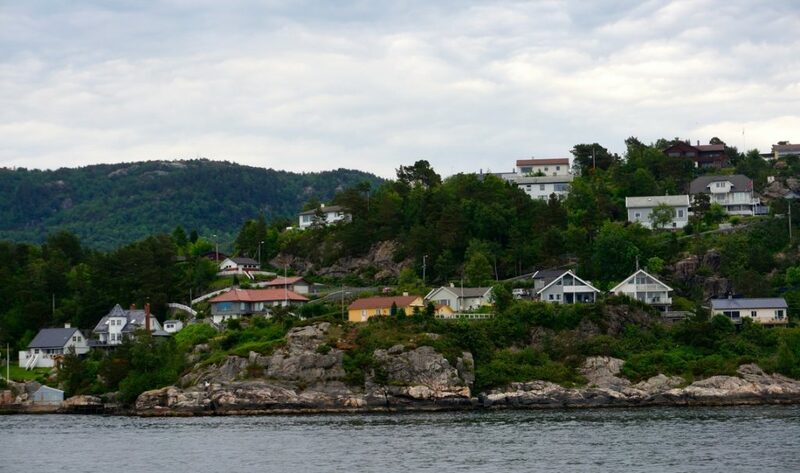 The walk takes you on the old road along the shoreline from the harbor, past 19th-century villas built in the popular Swiss style of the period by locals attempting to introduce a dose of Romanticism into Norwegian architecture. The dragons' heads from the gables are influenced by the décor of the region’s many stave churches. Two burial mounds from the Viking Age and a statue of King Bele, a gift from German emperor Wilhelm II in 1913, are other highlights on the trail. While not as long, deep or well-known as the mighty Sognefjord, the 179km-long Hardangerfjord is nevertheless an impressive waterway. To appreciate the fjord at its best, head inland where the fjord narrows as it passes the imposing Folgafonna glacier and National Park and approaches the vast Hardangervidda mountain plateau. 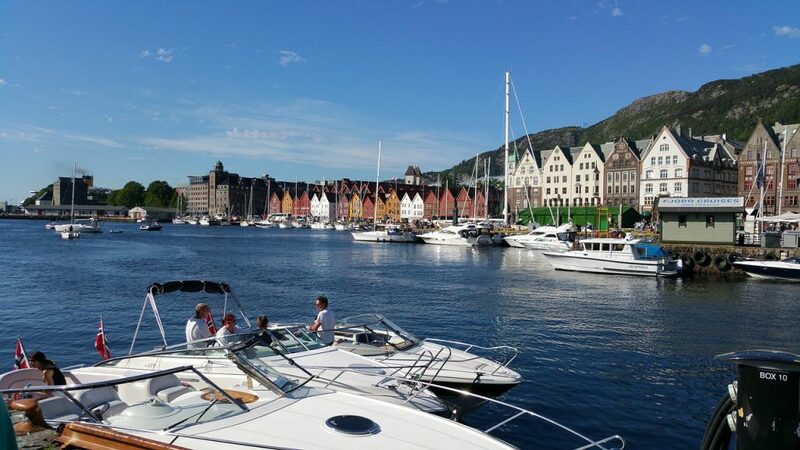 A popular detour for people driving between Oslo and Bergen, the fjord is a popular domestic tourism destination thanks to the outstanding hiking opportunities among the charming small towns, blooming orchards and stunning waterfalls of the Husedalen valley. Local farmers sell berries and other produce from stalls at the side of the road and in the small town centres. 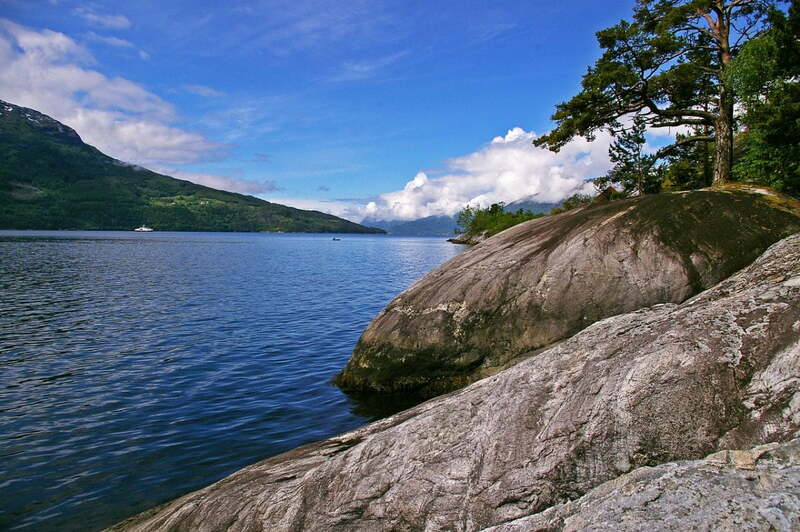 Read our complete guide to the Hardangerfjord. 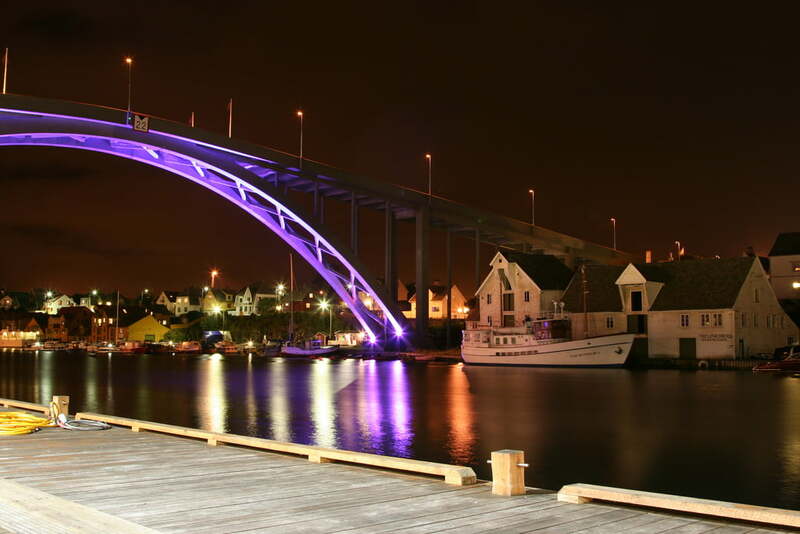 A historic herring port and trading post, the Haugesund of today is mainly an oil town and largely overlooked by tourists. That's a shame though, because the attractive harbour, bars and restaurants make the town a great day out from Bergen. The lovely beaches and forests of Karmøy island are only a short drive to the south. Inspired? 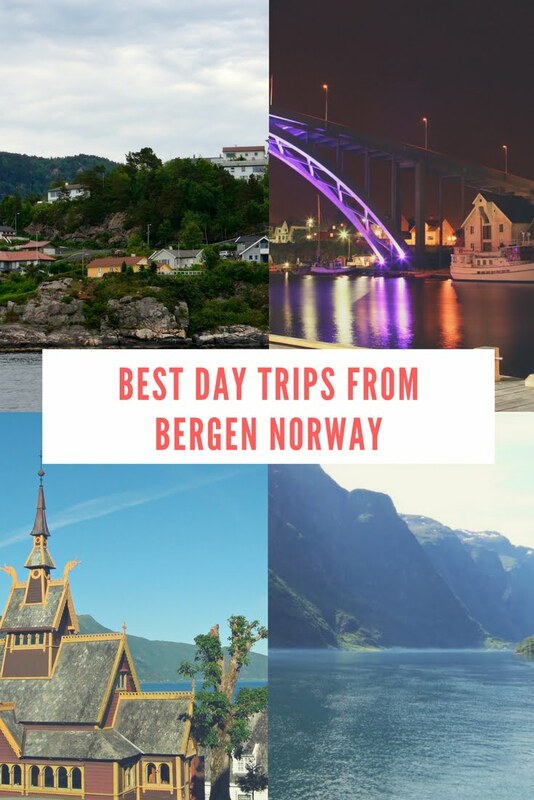 Help others plan their day trips from Bergen by sharing this post on Pinterest. There's a pin for that! We just visited these places and they are lovely but, due to the heavy rains and early snow this October many roads were either already closed or the locals warned us to avoid them. We decided to spend the night rather than make the round trip from Bergen and we are glad we did. There is a lot to see and do along the way and once you are there. Driving in Norway takes a lot more time than shown on google maps, especially this time of year.